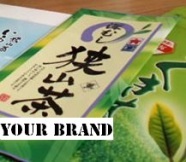 We'll select a Japanese blue-chip firm carefully, and introduce. These enterprises will want to cooperate with an overseas enterprise and plan for business development. Photos of Iruma's tea farm. How to drink excellent tea like Sayama tea. This plantation won the victory in a contest of much tea. An owner is growing 17 generations while studying good tea. Please relish in Iruma various flavor which the tea garden of 14 makes. How to enjoy Japanese tea. How to make Japanese tea. Excuse me, but please decipher by google translation.